Welcome to A Place of Peace – a place of rehabilitation and refuge for animals in need. Over 450 large animals now call this sanctuary home, along with local wildlife. Their peace is paramount, creating a “new earth” paradigm of harmony, built on a foundation of compassion, kindness, respect and love. A Place of Peace is a family run sanctuary. Billie Dean and Andrew Einspruch opened up their Braidwood property in 1997, having already been in dog and horse rescue in Sydney. Through their Animal Whispers network, hundred of animals found new homes, and hundreds found their way to A Place of Peace, where they will stay for life. If the meaning of sanctuary has its roots in sacred and holy, this is a good way to describe a land which resides in mountains and mists, offering a respite from the human world for animals, nature and the Unseen. In the way of the ancients, sovereignty of all life is respected, stewardship is benevolent and the interconnectivle nature of the web of life acknowledged and revered. Healing is natural, time-tested and holistic. In this way, a new blueprint and vision for the world is being created, pioneering a future based on ancient lores. The animals at A Place of Peace have been victims of human violence and disconnection, having faced slaughter, euthanasia, culling, trauma and general homelessness. These animals include cows, sheep, goats, wild and domestic horses, dogs, cats and geese. And today those animals and their stories are the foundation of the Trust’s animal activism, advocacy and international education outreach. Making the world a safe place for animals is the Trust’s vision and mission .. a world without violence and fear. A world of deep peace for all species. Subtle activism: We realised that giving the animals freedom from the fear of death, released an enormous amount of peace and contentment. And on a ripple and resonant level, this was important to the unified field, and contributed to a possible paradigm-shifting tipping point, as well as to the welfare of the animals themselves. It was a form of what is called “subtle activism”. Further as a telepath and healer in the old traditions, Billie is able to make A Place of Peace a unique kind of sanctuary where the animals have a say in how they want to live. Billie, Andrew and their daughter Tamsin, work with them in mutual respect. Currently, A Place of Peace is a living example of compassionate action and a work in progress to create a new kind of Eden – a blueprint for how the world could look if the values and principles of ahimsa were widely adopted. Ahimsa is a Sanskrit term describing the interconnected nature of life, and calling for non-violence — no harm to self or others. By hurting others, we hurt ourselves. By hurting animals, humans themselves are wounded. To heal the world of its disconnection, we need to show a different way of living, and encourage others to join a movement for deep peace for all species, for mutual benefit, and increased health, meaning and happiness. Meanwhile Billie, Andrew and their daughter Tamsin view A Place of Peace like an animal village. Aside from being fed, sheltered and cared for, there are different kinds of inner and outer wounds to deal with. Many are deeply scarred by their previous experience with humans. A Place of Peace is now at capacity, and it is not open to the public, to give the animals the least intrusion and the best chance to heal. Volunteer days are run irregularly. 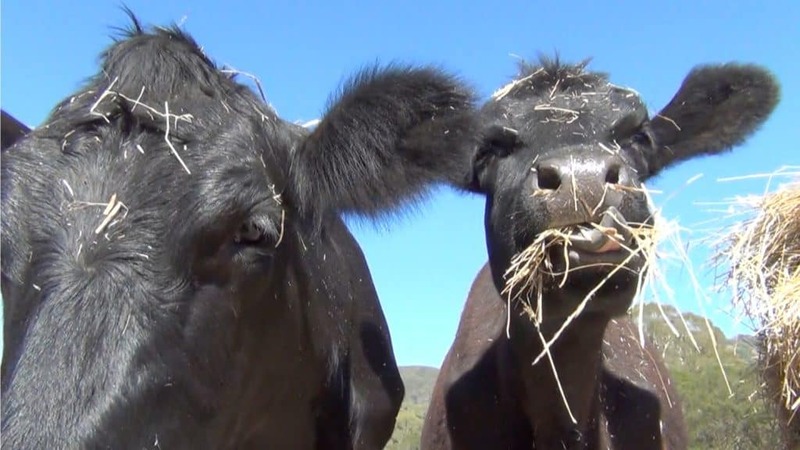 We invite members of the public to follow the Sanctuary antics in our instagram, Facebook, blogs, books and videos; to join the newsletter and learn more about the vision and thinking of what is fast becoming a sustainable living example of a compassionate ahimsa eco-system where all beings live in harmony, peace and mutual respect and support. And for the fullness of their natural lives. This includes the wildlife, trees, the land, and the Unseen, as well as the rescued farm and other animals. This is a model of how the future can be. As both Gandhi and Buckminster Fuller both were fond of saying — “don’t bother fighting the old , just build the new.” And this is what we are doing at a Place of Peace.